Rob has helped over 600 people buy or sell a home. "As first-time home buyers, we could not have asked for a more patient, knowledgeable, and professional agent. Rob was referred to us by a work colleague who has enlisted his services on two home buying occasions and heartily recommended him. Our initial telephone consultation with Rob helped us define our priorities in our home search, and allowed him to understand our needs and preferences. Rob’s expertise was invaluable when we viewed homes: he immediately examined the “bones” of the house, alerting us to possible problem areas and pointing out both strengths and weaknesses of a home, especially as related to potential resale down the road. When the time came for a bid and subsequent negotiations, Rob was a pro, helping us to reach a very favorable settlement. He was firmly in our corner. Rob’s knowledge of the home loan process, as well as tax advantages, was a huge plus. We wholeheartedly recommend Rob, and he will be our first call when the time comes for us to either buy or sell again." - Dana and Gordon W.
"Exemplary Service! Rob Carter will exceed all expectations. It is not easy to find someone you can trust with high dollar transactions. Rob's technical knowledge about the market and sale process blew us away. He is a true expert at numbers and sales predictions. Rob created gorgeous marketing and gave sound advice that was spot on which led to a flawless closing. If you want someone who knows the market and want to make the highest return on your property, Rob Carter is your guy. Words cannot express how satisfied we are with his service." - Heather D.
"This was my 3rd home sale with Rob Carter, and I would never use anyone else (to buy or sell). He is the most professional professional I've ever worked with: responsive, knows the market in and out, gave me a detailed idea of what to expect (which was exactly what wound up happening! ), was always ready with advice yet did not push me into anything I wasn't comfortable with. Excellent sale process from start to finish!" - Bianca B. "Rob Carter was a tremendous agent for us from beginning to end. He is attentive, skilled at finding serious buyers and committed to getting a great price and closing deals. While all of this is important, what really sets him apart (at least for us) was his generosity of time answering various questions and working through solutions long before we even decided to sell our property and before we even met him in person. From day one, Rob showed us that he will go the extra mile for people - even when they're not yet paying him to do so. It is safe to say that we will never go through another agent as long as we live in the DC area; he is that good." - Jeff J. "If you are looking to buy a house in the Metro DC area, the absolute first thing you should do is call Rob Carter. Trust me when I say that this will be the single best decision you will make when buying a home. Not only will you have peace of mind throughout the entire process, but Rob is one of the most patient people I’ve ever met. The thing that most impressed me about Rob was that he was a straight shooter… he steered us away from houses that looked pretty but had non-obvious issues, always putting our interests first. He is very organized, responsive and one of the sharpest guys I’ve ever met. My wife and I cannot thank him enough from the bottom of our hearts. He made the experience enjoyable and stress-free. Anyone who isn’t using Rob to find their perfect home is at a disadvantage from the start. Because of Rob Carter, my wife and I are now living in the house of our dreams. 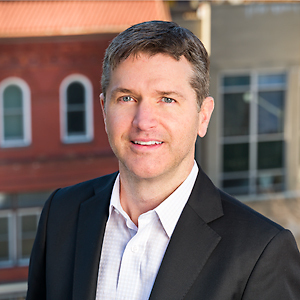 Thank you, Rob, for all you’ve done for us…" - Travis W.
Licensed in DC, MD and VA, Rob Carter has over 20 years of experience and has built his reputation around his commitment to clients, negotiation skills, and ability to get the job done. As a consistent top 1% producer globally, he leads a group with the experience, work ethic and knowledge to assist you with your real estate investments. Some of the characteristics that make our clients happy with their decision to enlist our help: We return calls promptly, provide outstanding customer service, believe in a "no pressure" process, work hard, are honest, friendly, empathetic and always follow through. As a real estate investor, Rob brings extensive finance and analytical skills that we look forward to sharing with you. For sellers, we develop a sophisticated and effective marketing strategy and apply today's technology to ensure you get the quickest sale at the best price. For buyers, we help you flawlessly navigate the process of home-ownership and support you through every step of the process to get you the right home at the best price. We recognize that buying or selling a home is a very exciting but emotional experience. Our primary goal will be to ensure you feel comfortable during your home buying or selling experience by providing you with distinctive, unparalleled service. Rob and his group are seasoned professionals and are committed to providing the highest level of customer service. We know the market well and welcome the opportunity to serve you.